In anticipation to almost reaching 500 FOLLOWERS(almost there) and changing my blog name I wanted to spread the love, and give my amazing followers ANOTHER amazing TOO FACED GIVEAWAY! !THANK YOU ALL whom supported me, and continue to support me! Without you there would be no Mascara in the City, and I love you all sooo much! This would surely make my holidays bright! I’m excited to announce my second giveaway!! Thank you for 100 followers: Nails Inc Nail Polish Giveaway!! I am so grateful to all you lovely people who have started following my blog! I haven’t been blogging for long, so it’s great that there’s a small community of you out there supporting me! Since planning this post when I first reached 100, I’ve now gone up to 121 which is even more amazing!! As a huge thank you I’ve decided to do a small giveaway. If you follow my posts regularly, you will realise how much I love nail polish. 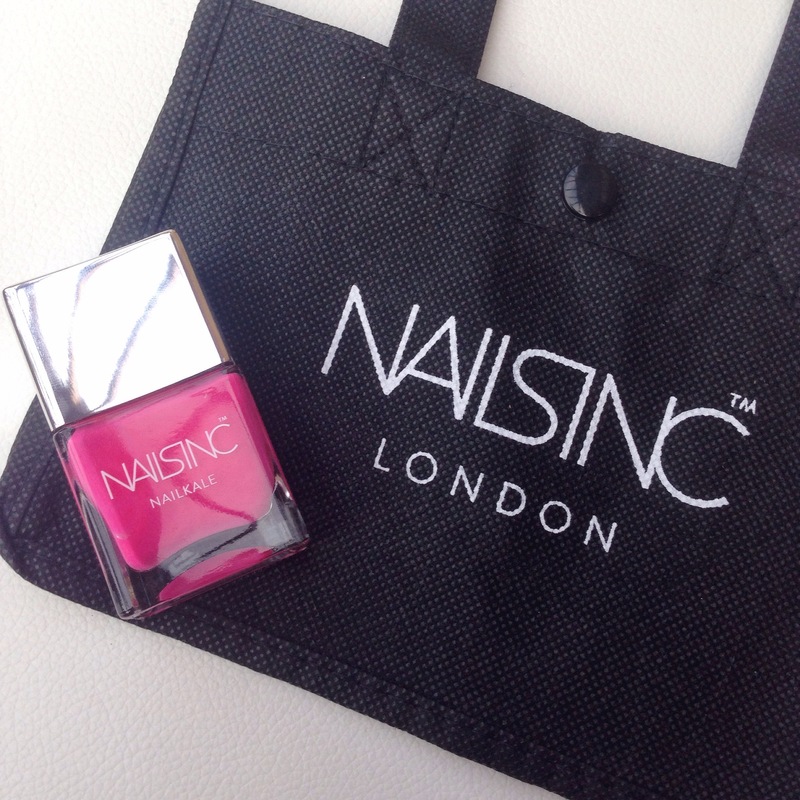 So, I thought it was only right to do a nail varnish giveaway! This is a polish from the Nails Inc Nailkale polish range, which is the first superfood nail range made with kale extract to give you stronger, smoother and healthier nails; and, is worth £14. 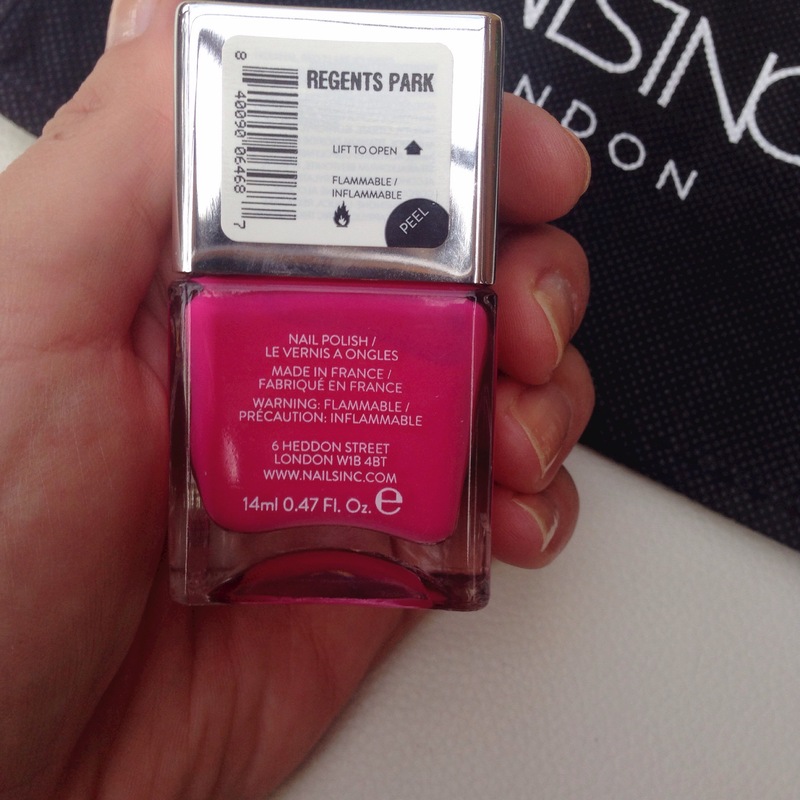 The colour I have chosen is called ‘Regents Park’, and is a fab colour for summer! The Edge of Beauty is having a giveaway! The Edge of Beauty is having a giveaway! You can enter to win one of two super-cute pampering prize sets! I know for a fact that I would love to win the first prize!! Head on over now to The Edge of Beauty: My 2 Year Giveaway! to enter! The giveaway is international, and if you are under 18 years old you should have your parents’ permission to enter. Closes October 4th, 2013.